The 501-43 is a 2 column desk with a minimalistic look, an open frame structure and a clean-cut. You can recognize the 501-43 by the square column and slender design, it is available in 3 frame sizes and 3 different colors.The robust frame makes the 501-43 a strong and durable desk for any office environment. 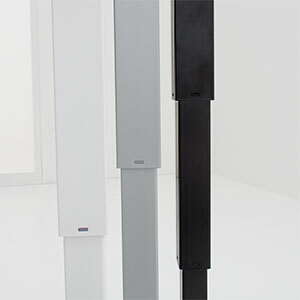 Conset has its roots in Denmark and this product reflects the high standards so typical of Danish furniture. This sit to stand table/desk Ships Free in as little as 7 business days. 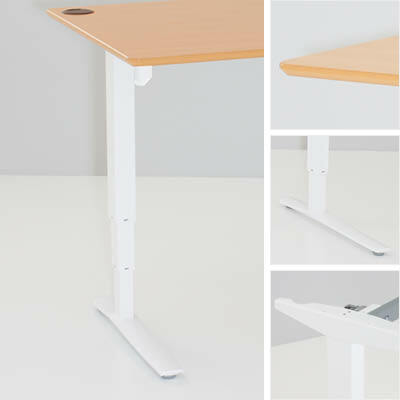 This electric height adjustable desk is easy to assemble and is backed by a 5 Year factory warranty!